Please, Please, Please watch this video before you buy a kit, you will thank me later. In short if you want your HIDs to be the color you buy, make sure you get the high quality ballast, you must search thoroughly when finding one. eBay is a good place for them. Here is the list, all colors are in Kelvins. Factory HIDs are 5000K, this is pure white. 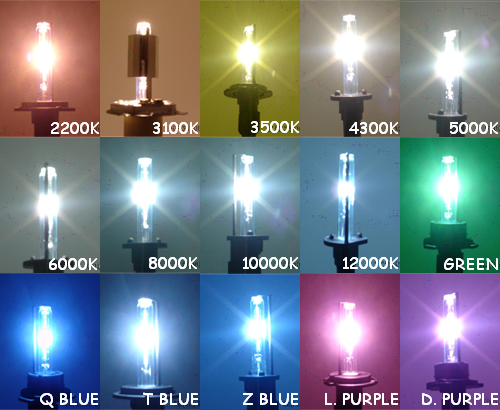 3500k is often used for City lights [High Beams] and fog lights. As far as I know, in my area 8000k is the highest you can go. Remove the washer fluid reservoir using the flat head screw driver. Remove the old bulb and use a test light to find the hot wire. Put the pins into the connector housing and plug it in. Remove the top of the intake box.